This is the dry Amaranth Flower (Qian Ri Hong). 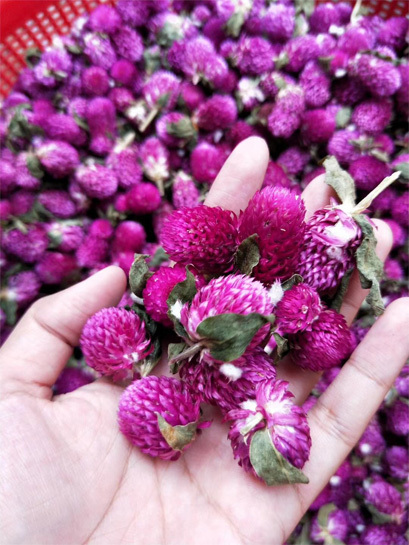 The color of the flower is not is to fade and last very long time, so it is named, Qian Ri Hong (Red for one thousand days). The flower can be added into tea. It can relieve cough and cure bronchitis.